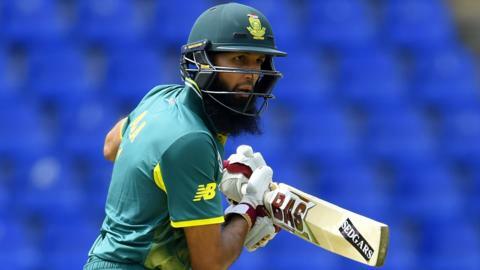 Results and scorecards from Sri Lanka's tour of South Africa, featuring two Tests, five ODIs and three Twenty20 internationals. Centuries from Tammy Beaumont and Sarah Taylor help England level the ODI series against South Africa as the hosts claim a 69-run win during the second match at Hove. Why is De Villiers retiring from internationals? Read more on Why is De Villiers retiring from internationals? England paceman Toby Roland-Jones is having a Test debut to remember, writes cricket correspondent Jonathan Agnew. Alastair Cook played a proper Test innings on day one of England's third Test against South Africa, writes Jonathan Agnew. Oval's 100th Test - how much do you know? Records, ducks and bouncers - test your knowledge of the iconic ground as it stages its 100th Test. Read more on Oval's 100th Test - how much do you know?